OFTEC’S new chief executive is to be Paul Rose. Currently OFTEC’s technical director, Paul will take up the position on 1st August 2016 following Jeremy Hawksley’s retirement at the end of July. Paul has worked in a number of technical roles for the organisation since 2005. He was appointed as chief executive following a competitive selection process during which external candidates were interviewed. Commenting on the appointment OFTEC chairman, Nick Hawkins, said: “Paul is very well known in the oil heating sector having been technical director at OFTEC since 2011. “He represents OFTEC on a number of national and European technical panels relating to heating. 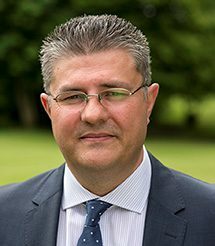 Paul is a member of the Chartered Management Institute, Institute of Domestic Heating and Environmental Engineers (IDHEE), and is a UKAS technical assessor in the area of ‘certification of persons,’ a route to registering with a competent persons scheme.